The daily grind of college life can be stressful, and those bright-eyed (or caffeine-induced red-eyed) pre-law students have even more to think about than the average student: the LSAT. It can seem tempting, and almost inevitable, to freak out over the LSAT, but these tips from current law students should help ease the anxiety. It’s tempting to leave those LSAT books in the un-vacuumed corner of your common room, but it’ll pay off in the long run if you dust them off. Start studying far in advance of the test date, because a little each day is much more beneficial than cramming in one week. Jonathan Silva, a second year Villanova law student, said, “I think that starting at the end of junior year is probably the ideal time. It gives you the ability to really focus and take your time with it during the summer.” Sean Sweeney, a second year law student at Case Western Reserve also said that the test measures “how well you can think, not what you know on a given topic.” So break out those books because the test might seem far away, but it’ll be here sooner than you think. With classes, clubs, work and everything else (you know, friends, eating, sleeping, etc. 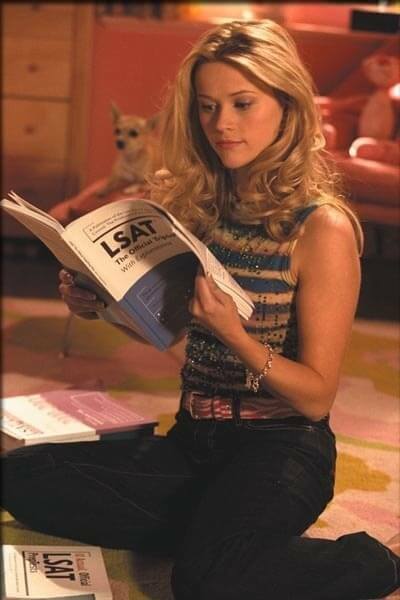 ), you probably don’t have time to devote full days to studying for the LSAT. “I had set up regular blocks of time, around three hours a week, when I would study with other friends taking the test,” Silva said. Studying at the same time every day can be helpful to get you into a routine. Gotta love those exciting, stimulating—OK, maybe just necessary—routines. You won’t know where to go from if you have no idea where to start, so take a practice test. “This gives you a baseline to build from, shows you where you are strongest and where you are weakest so that you can better tailor your studying,” Silva said. But make sure those practice tests you’re slaving away over are up-to-date. The LSAT is offered four times each year, so tests can get old pretty quickly. The most recent ones are going to be the kind of beast you can expect come exam day. EJ Risley, a first year law student at Boston College, said the test has gotten harder since the early 2000s, so you should definitely try to take as many recent practice tests as possible. Some students freak out about which test to take. February, June, October, or December? But the month of the test date is one thing you shouldn’t worry about. The difficulty of the test won’t vary from month to month—they aren’t that sneaky. You should just pick the test date that works best for you, and for which date you think you’ll be most prepared. Just remember to not take the test until you really feel ready. Logical reasoning makes up half of the LSAT, and logically half your grade. So even if it’s your strong suit, make sure to set aside some time to brush up your skills. Silva recommended paying some attention to the logic games, “since most people have the hardest time with that.” These types of questions can be helpful for some people though, because as Risley said, “The LSAT is actually a very gratuitous test in the sense that it is not a knowledge test, but rather a skills test.” Just make sure you… uh… have those skills. You bought a ton of SAT prep books back in high school, and preparing for the LSAT won’t be any different. For lower budget students, Powerscore’s “Bible” series and past exams from the LSAC can be useful. For students with a higher budget, Powerscore prep classes or one-on-one tutoring could be an even better option. “Just doing practice tests and reading the reasoning behind each answer afterwards was most effective,” Silva said. On the other hand, Sweeney recommended taking a prep class, “especially if you find that you have trouble setting a regular study plan for yourself.” So basically, anything goes. There are even some free apps like LSAT Exam Prep, LSAT and LSATMax that can be low-key ways to start studying. The best way to prepare is to try things out, find out what works for you and go with that. There are lots of handy calculators available online that you can use to see how good your shot is at your dream school. Put in your GPA and different scores to see how high your LSAT needs to be to match up to a good shot. Shoot for the stars…or at least, shoot to be within the median range. 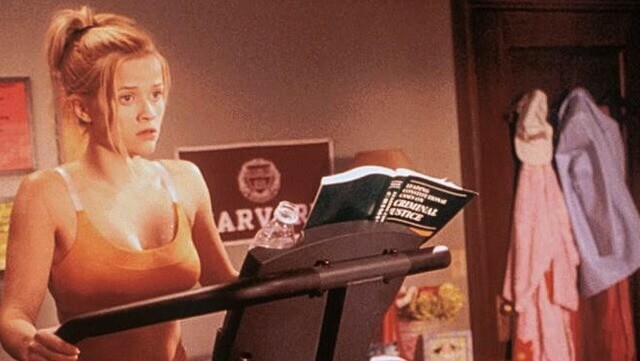 The LSAT won’t make or break your life, and freaking out about it will only hurt you. But that doesn’t mean you can sit around and binge-watch House of Cards either. The LSAT often matters at least 50 percent to law schools, and sometimes more than that. Silva said that it’s important to keep in mind that, “It is not an indicator of how well you will do at law school.” Sweeney agreed. “Once you get to law school, your score on the LSAT is meaningless,” Sweeney said. That’s comforting, but you can still take a few minutes to hyperventilate first. Just make sure you stop eventually and move on with your studying.